Food microorganisms play a critical role in food industry and human health. As we know, bad microorganisms, including pathogenic and spoilage microorganisms are the main causes for food spoilage, food safety and food-borne human health problems. 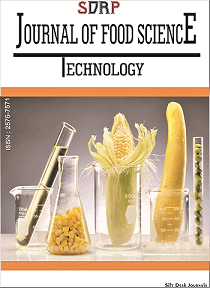 It is important to understand the growth pattern and its underlying mechanism of pathogenic and spoilage microorganisms in different foods or under different conditions. Furthermore, predictive models, fast detection and new technologies can be applied to control these microorganisms and assure food safety. On the other hand, some good microorganisms, e.g., lactic acid bacteria are widely applied in fermented foods, or used to produce food additives via bio-engineering. Although food microbiology has been widely studied and a great progress has been achieved in many aspects, it is still poorly understood on molecular mechanisms, applications of new detecting technologies, and associations between food microorganisms and human health. This Research Topic aims to bring together microbial growth pattern, virulence, functions and detection. We particularly welcome studies focusing on food microbiology and food safety, microbiology and food engineering, predictive microbiology in foods, food microbiology and human health, new technologies for detecting pathogenic microbiology, and other aspects of food microbiology in Asia.